William Lashly, AM (1867–1940) was a Royal Navy seaman who was a member of both of Robert Falcon Scott's Antarctic expeditions, for which he was awarded the Polar Medal. Lashly was also recognised with the Albert Medal for playing a key role in saving the life of a comrade on the second of the two expeditions. The son of a farm worker, Lashly was born in Hambledon, Hampshire, a village near Portsmouth, England. At the time he joined Scott's Discovery expedition in 1901, he was a 33-year-old leading stoker in the Royal Navy, serving on HMS Duke of Wellington. 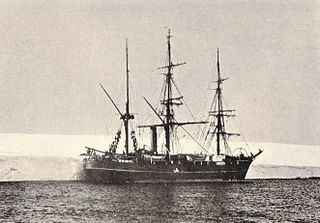 On this expedition, Lashly proved a success and was a member of Scott's "Farthest West" party exploring Victoria Land in 1903. A teetotaller and non-smoker, he was quiet and strong, good-natured, dependable and acknowledged by Chief Engineer Reginald Skelton as 'the best man far and away in the ship'. Before joining the Terra Nova expedition in 1910, he served as an instructor at the Royal Naval College, Osborne on the Isle of Wight. On Scott's second expedition in Terra Nova in 1911–1913, Lashly was initially in charge of one of the expedition's two motor sledges which were to haul supplies southward in support of the polar party. However, the sledges quickly broke down, and the motor party had to switch to man-hauling the supplies. On 4 January 1912, along with Lieutenant E.R.G.R. "Teddy" Evans and Tom Crean, he was a member of the last support party to be sent back by Scott on his way to the pole. During the 730 mile return journey, Evans became seriously ill with scurvy and on 11 February collapsed, unable to walk any further. Still 100 miles from Hut Point camp and safety, he tried to persuade Lashly and Crean to leave him to save themselves, but they refused. Strapping him onto the sledge, they pulled him for days until with only one to two days food rations left but still four or five days sledge pulling to do, they had to stop. Lashly then stayed with Evans in the tent to nurse him while Crean walked the remaining 35 miles alone in 18 hours to reach Hut Point camp where he was able to fetch help. Extracts from Lashly's polar journals, chronicling his tribulations with the motor sledges and the return journey with Evans, were included in Apsley Cherry-Garrard's book "The Worst Journey in the World". Both Lashly and Crean received the Albert Medal for saving Evans' life. After returning from the Antarctic, Lashly retired from the Royal Navy with a pension, but promptly joined the reserves and served in World War I in HMS Irresistible and HMS Amethyst. Later he served as a customs officer in Cardiff. 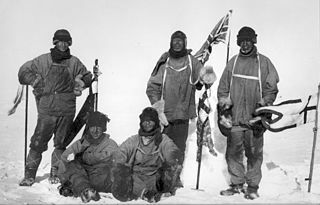 Upon his retirement in 1932, he returned to Hambledon where he lived in a house he called "Minna Bluff", after one of the landmarks on the road to the South Pole. Lashly died on 12 June 1940. In 1969, William Lashly's diaries were edited and published by Commander A R Ellis. Under Scott's Command—Lashly's Antarctic Diaries provides insight into both the Discovery and the Terra Nova expeditions from the perspective of one of the men rather than the more common accounts published by officers. George Murray Levick (1876–1956) was a British Antarctic explorer, naval surgeon and founder of the Public Schools Exploring Society. 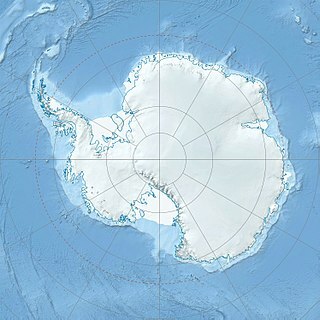 Cape Crozier is the most easterly point of Ross Island in Antarctica. It was discovered in 1841 during James Clark Ross's expedition of 1839 to 1843 with HMS Erebus and HMS Terror, and was named after Francis Crozier, captain of HMS Terror. The extinct volcano Mount Terror, also named during the Ross expedition, rises sharply from the Cape to a height of 3,230 m (10,600 ft), and the edge of the Ross Ice Shelf stretches away to its east.